The author of the best-selling Start with Strips returns with a dozen spectacular quilts for Christmas—and most can be enjoyed year-round! It’s fun to decorate with Christmas quilts during the holidays—but no one wants to pack them away for 11 months of the year. 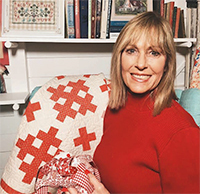 Susan Ache’s softer shades of red and green in Countdown to Christmas suit all seasons, whether for snuggling on the couch in December, enjoying late-night campfires in June, or relaxing on the deck in October. Choose between exquisite quilts with traditional roots and lighthearted quilts that capture the magic of the holiday season. When Christmas rolls around again, any of them can take center stage! We’re excited to have Susan as our guest writer today, here to tell us more about Countdown to Christmas. When you live in Florida, you can pretty much take a “white Christmas” off your wish list. So we do the next best thing—turn on the air conditioner, put on our happiest of holiday sweaters, crank the Christmas music up loud, and call it a Merry Christmas! Do you know what’s always on my Christmas wish list? At least one or two new Christmas quilts to add to the pile of holiday happiness. But we all know that the holidays are a time of constant multi-tasking, and not the perfect time to concentrate on adding something new and special to the stack. By sewing off-season, there’s no pressure to sneak in sewing, quilting, or binding time during the holidays. It’s really fun to see how much progress you can make when you take away the time limit and you’re able to enjoy the entire process and the holidays when they arrive. I started this relaxed, off-season approach to holiday sewing the very first year I started quilting. Do you want to know why? Well, I’ll tell you, the main reason was that at the time, I didn’t think I could effectively complete and sew something really pretty—and fast—with accuracy. Well, relaxed seasonal sewing sure did start adding up for me quickly. In January and February, while I still have that holiday spirit, I enjoy the entire process. Confession time—I purposefully don’t choose backings for my holiday quilts that scream Christmas. The real reason is that I don’t put my quilts away. I creatively fold them so that you see at least some pops of color. If a quilt says Christmas to me on one side, the back side needs to say "leave me out—I can play every day." Try a little off-season sewing yourself and see how relaxed you’ll be during the holidays when you pull out all of your new quilts. Susan, thanks for your holiday-sewing words of wisdom! How many Christmas quilts have you made to date? We’ll choose a random winner one week from today and let you know by email if you win. Good luck! And if you’re ready to start some off-season sewing with Susan, purchase Countdown to Christmas at our website and you can instantly download the eBook version for free. I have not made any Christmas quilts yet but this book has me wanting to! I have made only one Christmas quilt, but several table runners for the holiday! I’ve made 3 Christmas quilts…but can you have too many?! I have 2! I am sadly short for the season! I better get sewing! I’ve made 2, both gifts. One for my home is next on the list! One done and two started! 1-5, though I have plans for more. 2-3 small wall hangings, but I have collected quite a stash of holiday fabrics and can’t wait to get started on more projects as gifts. I haven’t made any Christmas quilts yet although I have bought kits or patterns to make a couple. I have only made table runners. My birthday is on Christmas so I bought a kit to make myself a quilt. Sadly, only one, for a present, and it was only in christmas colors, a grandmother’s fan for a baby! Anything for me goes to the bottom of the pile. I love her comment about basically doing a reversible quilt: non christmas specific on the back! good idea because I hate putting those lovely pieces of art away too! The ones I have that are mine are antiques I’ve accumulated, the ones I make all get given away. Time for me I think! I have made more than 10 Christmas quilts and always thought I had made enough until I saw the tree farm pattern . My dad had a tree farm and I would love to make the quilt with those gentle greens and snowballs. Hard to know…some are definitely Christmas but then others might be ‘winter’ but I display them all together most of the winter. Keeps the winter blahs from setting in too much. I AM running out of room! I have made 3 Christmas quilts. 1 for my daughter, and 2 for me and my husband. 6 to 10, but I want more! My first quilt was a Christmas quilt. I thought I would never do another quilt. I’ve made at least 7 Christmas themed ones and many others. I think i have Made 4 Christmas quilts. O would Love to have the book! I haven’t made any Christmas quilts yet, did make a table runner and placemats though. Maybe it’s time I started on a bigger project. I love Holiday quilts! I have made 5 holiday quilts and have one more in the beginning stage that I hope to have done for next Christmas. I have made many holiday table runners, placemats, and wall hangings that make me smile every year when I display them. I’ve made 4 quilts and 2 bed runners. I love this idea of making holiday quilts early in the year. I saw quite a few quilts I would love to make. I have only 1 larger sized Christmas quilt but several small wallhangings. I have made 3 and have a head full of others to make. I have made 2 Christmas quilts. I love the green and red quilts in this book. Sadly I only have one but would love to make more! I’ve probably made more than 10, too bad they can’t be on the bed longer than 3 mos. I’ve made between 1 to 5 Christmas quilts. I love Christmas and decorating with quilts ed things. Two so far but I have more planned. Thank You for the giveaway. I don’t have any Christmas quilt books. In fact, it wasn’t until this last Christmas that I made anything for the holiday, and that was table runners. I made 8 of them. I would like to have a book with Christmas patterns in it. I have only made a few smaller Christmas quilts. Love the look of these simple yet elegant quilts. I have lost count on the number I have made – they are donated to various charities around the world. I have made over ten Christmas quilts. I still have several patterns calling to me but Crisscross Applesauce is calling the loudest to me right now! I’ve only made 2… I want to make more, but I seem to stall out when picking a pattern. Susan’s quilts would solve that problem. Wonderful book! I really like the patterns and colors. I’ve made around15 Christmas quilts;some for gifts and some to keep. Like wine, you can never have enough Christmas quilts. I have not made any Christmas quilts – but it’s on my bucket list!!!!!!!!!!! I have made about 8 Christmas quilts and a few quilty Christmas items like some sweet reindeer and candy canes. I love Susan’s designs and her beautiful use of color. Thank you for the sweet giveaway! I have made 8 if you count snowmen, which can be Christmasy but work the whole winter also. I think I have more than 10 if you count my table runners! More than 11. I make a small one each year as a donation to a charity auction. Starting in January would make a huge difference. I don’t enjoy the agony of the last minute rush when everything else is going on. This is very inspiring. Thank you. I’ve made 1 to 5. I have not made big Christmas quilts except runners . Does that count lol.? I’ve made 4, but have fabric for several more. I love Christmas quilts! 1-5 Christmas quilts tho I have many more planned! I just starting quilting less than 2 years ago and a Christmas quilt is on my list to make this year. I really like to Christmas wreath quilt that is included in the Countdown to Christmas book! I think 4 but want to do better this year! Love Susan’s book! I have made many over the year but I think I have at least 6, lots more if you include lap quilts and wall hangings. Living in the north I love having lots of pretty quilts to cuddle with during the winter months. I’ve done between 6-10, some I’ve given away, some I’ve kept! I have Some fabric in my stash I would love to have an awesome pattern to make up from this book! I have never made a Christmas quilt! I have made over 10 Christmas quilts so far. I have 2 in the process of completing. I love Christmas fabric! I have only made one Christmas quilt and that would be my Grinch quilt. 1 to 5; as a matter of fact, I think I’ve made exactly 5! i have only made one large Christmas quilt but many, many quilted wall hangings, table toppers, and throws. I have made at least 10 if table runners and toppers count. I love Christmas and have promised myself that I am going to make some ahead of time this year. I usually give them away, but hope to keep these this year! Would love to have that book. Probably 6 to 10, including wall hangings. This book loo9ks like something I can use. I love Christmas quilts. Hope I win a book. Thanks. I have not made a Christmas quilt, yet! Several of the designs in this book piqued my interest, though! I love how these quilts are styled–so beautiful! I’ve made more than 10 Christmas quilts, for sure. I keep them in a bench that has storage under the seat and after last year’s sewing, I need to find a bigger bench! I have fabric for several Christmas projects bought. As of yet, I have been unable to start on them. Hoping to soon. Therefore, I have not made any Christmas Quilts. I have made 1-5 Christmas quilts only beacuse Christmas is so short. I have serveral wall hanging and a couple of big quilts in process. I like the idea of the differant backing to extend the usefulness of the quilt. I have made exactly 5 Christmas quilts. I have been anticipating this book since I first learned about it! I cannot wait to get my hands on it! 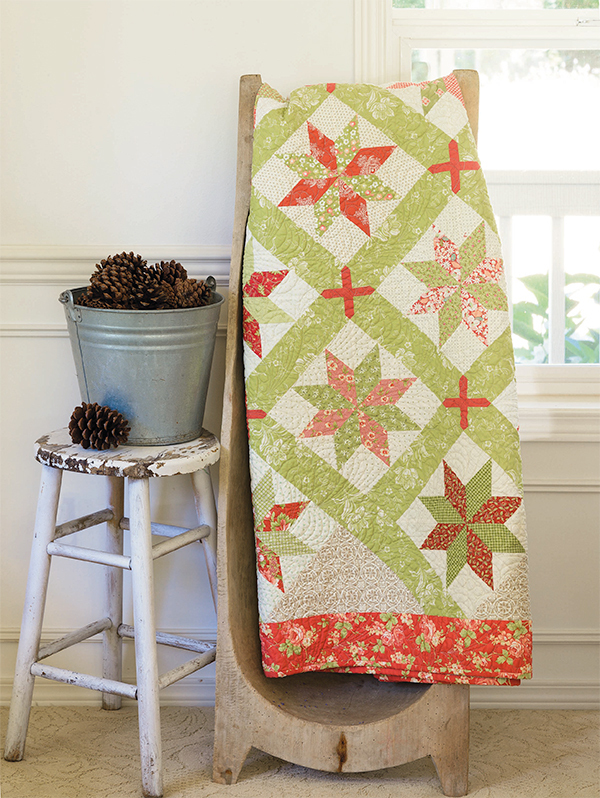 I haven’t been quilting long so I’m still in the 1-5 range, but I absolutely love Tree Farm and would like to try it ! Thanks for the give-away. I have made 1-5 Christmas quilts. I have to finish up my quilt sandwich on one of those!! I have never made a Christmas Quilt YET. I have several Christmas quilts. I think over ten and have a couple in my UFO bin. I love the idea of doing the backing so you could leave the quilts out all year. I would love to make the Ho Ho quilt. I haven’t made any Christmas quilts…yet. I love these quilts, especially Tree Farming! Lots of inspiration in this book. Probably 6-10, but I have more planned in my head and a stash to die for. I am sure this book will help me to finish my planning and put a dent in my stash. I have made between 6 to 10 Christmas quilts so far and still counting! I love this books use of light greens and cherry reds for Christmas. I have only made a few small Christmas quilts but would enjoy making several of Susan’s for my family. I love the warm soft colors and the simple designs. Would love to have Countdown to Christmas on my bookshelf! Love the soft reds and greens. I have made 2 Christmas quilts.Just getting started!! I made one Christmas quilt in 2018, and I have some fabric for a second one soon. Both lap size, so quick to finish. Love the quilts shown in the new book. Will bring a lot of joy to a lot of people. Only one to 5. This is a great approach. Thank you Susan! I’m really not sure how many I’ve made. Several have been gifted over the years. I have 2 plus my Christmas tree skirt. I am in the 1 to 5 Christmas quilts group. 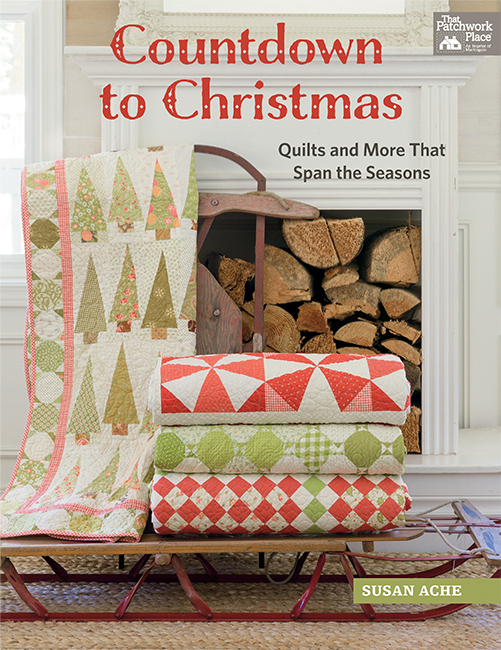 Love the quilts featured in the Countdown to Christmas book. I’ve made two Christmas quilts and lots of table runners. I love pulling out my Christmas hand made quilts. I’ve only made 1 so far, but the quilts in this book are so inspiring! I’d love to make more! I’ve only made one bed quilt but I have fabric set aside for more. I mostly make smaller quilts for the table or wall decoration. This book looks great! I am working on a Christmas quilt now and have another Christmas quilt in the planning stage. I would love to win “Countdown to Christmas” book. 1 to 5 at my house and grandkids houses. These quilts in the book are just wonderful! Three Christmas quilts. This year I should say snow quilts. We survived the bomb cyclone blizzard in the midwest a month ago.The resulting flooding problems are finally improving. Now we are experiencing a 3-day blizzard with up to 14 inches of snow. As long as the power stays on, I will be sewing to keep my mind in a better and calming place. Love Tree Farm. I’ve only made 1 so far, but this book looks so inspiring! I’d love to make more! At least 5…a couple not quite finished! Love Christmas and would love a copy of this book! Oh, what fun!!! I love decorating for holidays. What a nice addition this would make. I am in the 1-5 category. Thanks for the chance to win! I have probably made about 5 and actually have one I am working on now. I also have a BOM that I haven’t even started yet. I also tend to pick a back that doesn’t totally say Christmas, even if it’s a Christmas line. I start one before Christmas, finish it in August. So 1 each year. I’ve made four Christmas quilts. This book looks very, very interesting! I have made one Christmas Quilt. Took me several years but completed last year, and set me on a path to finish a BOM wool appliqué quilt and a start on another this year. I don’t have any Christmas quilts yet. Through a QAL, I was able to finally make some nice Christmas table runners. I have 1 lap quilt that I use on my dining room table, and 3 or 4 mini quilts that double as wall hangings or table toppers during the holidays. Plan for more this year. Added to my library, this book would be great inspiration. I’ve made two Christmas quilts, but want to make more! I LOVE the quilts in this book! I’ve only made one Christmas quilt but many Christmas table runners. Lots of table runners, tree skirts and wall hangings. 6-10, if those count. Have made 3 Christmas quilts to date, and am actually working on a 4th one currently, which is on my sewing table this week! I’ve only been making quilts for about 9 years, which sounds like a long time, but it’s gone by so fast that it doesn’t seem very long to me. I love Christmas quilts! I lost count of how many I have made. 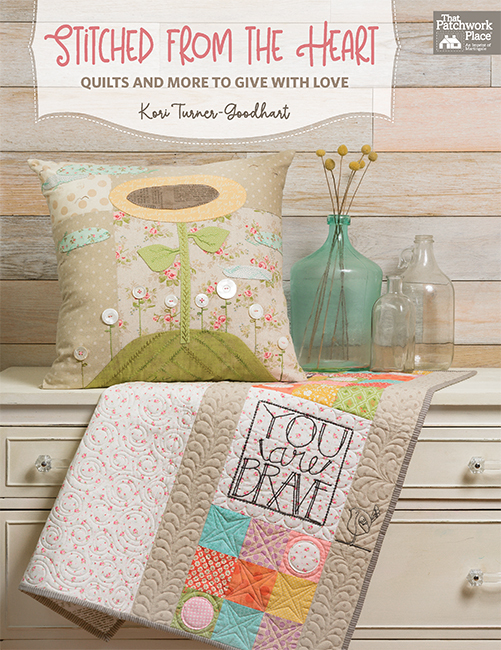 This looks like a beautiful book with some very cute quilts!! 3 and one in the works. Cant stop buying Christmas fabric! I have made exactly 0. These would be my firsts! Even though I have been quilting for nearly 15 years, I must admit that I haven’t made a single Christmas quilt. I have a few blocks done of one with cardinals and birch trees, which gets shunted back into its bag because something else bumps it from the priority list. And I have a bag of fabrics selected for a tree skirt, but those fabrics haven’t seen the light of my sewing room in the 3 years since I put them there. This article and this book just might give me a nudge to get a move on and finish something for Christmas! Thanks for the push! I have “1-5” Christmas quilts started but “0” finished! 😕 this year the plan is to get 2 completed before December. 1-5 quilts so far, but I have another 6-10 wall hangings to bump up my Christmas quota! Including the few w/snowmen, that I don’t put away till the end of February, it appears the count is 6-10. I am in the 1 to 5 range. I too like to leave my quilts out all year so do not want them to be toooo Christmasy. Several in this book look like they will be perfect. Thanks for the giveaway. I have made 2 Christmas quilts and want to make more. Mostly Christmas wall-hangings, table runners and ornaments. But every scrap quilt has some Christmas fabric lurking somewhere. At least the 6-10 range. I have made quilts with a Christmas theme for all the Gkids, as well as for my home. I have made more than 11 Christmas quilts. Some are tablerunners,some wall hangings and one Queen size quilt. I love the idea of using untraditional fabrics so I could extend the season. I would love to be chosen to own this book. I have made 1-5 Christmas quilts, including my Christmas tree skirt. I have 1 Christmas quilt for my home with two Christmas quilt tops waiting to be quilted. Those may stay with me, or, become gifts. I have already made 2 Christmas quilts as gifts, and I have the fabrics ready to piece Christmas quilts for my son and daughter. I really enjoy creating Christmas quilts, wall hangings and table toppers. Susan’s book has lots of great inspiration. Thanks for offering a giveaway of her book. 1 Christmas quilt so far. I’ve made a lot of quilts but just last year, I started giving away a Christmas quilt through a drawing to a family member on Christmas day. So, I would love to make more Christmas quilts and this book would be great. Thank you! I’ve made more than five Christmas quilts, and I’m working on one now! I’ve not made a full size Christmas quilt. But I have made a couple small Christmas projects. One about 6″ square, another about 12″ square. That’s all I can remember. I do love the patterns in this book though! Thanks for the opportunity to win! I have NO Christmas quilts…but this book would be a great way to start! I have made 6-10 Christmas quilts and have enough Christmas fabric to make that many more. This book has some wonderful ideas and would help me get through my stash. Thanks for offering it. I would say I have made 1 – 5 Christmas quilts and lots of table runners and placemats. I enjoy snuggling up in a quilt during the holiday season. I see several quilts in the book that I would like to make. I confess that I have only made one Christmas table topper. I need to make some Christmas quilts. These are beautiful. I’ve made only one Christmas quilt, but many smaller quilted projects. Lost count and binding another one right now! I have not made any Christmas quilts, but I want to get started for this year. 1-5 plus lots of runners and ornaments. I am a newbie to quilting, so I am only in the 1-5 range. However, looking forward to many many more. I have made 3 so far and have 4 UFO Christmas quilts! I cannot wait to have a huge collection of Christmas quilts and one on every bed! (1-5) I kept one for myself but always wait to long to get started and this book has me inspired to make them early and have them ready for gifts in time! Two, not a fan of those colors! One was traditional, the other silver, blue, purple, gray. I’ve never made a Christmas quilt, but I did make a great tree skirt! And I’ve been hoarding Grinch fabric to make a really big Christmas quilt! Thank you for the giveaway! I have only made one Christmas quilt, but I see several in Susan’s new book that I would live to make. I’ve made at least 11- love having one on each chair at Christmas to decorate and cuddle up with. I’ve made only two large Christmas quilts but if you count wall hangings and table runners – well, I’ve run out of fingers and toes to count on!! The look of the quilts in this book is so soft and I guess "calm" is a good description. Love them!! None, yet, but the book looks inspiring. I have lots of Christmas fabric, but have not made a Christmas quilt yet. It’s on the quilt to-do list. I have just done one Christmas quilt. I would love this book. I would guess 6 to 10. I love the simplicity of the quilts in the book. I have not made any Christmas quilts yet, but I would love to. I made both my children a Christmas Quilt while they were growing up. I went back to work and my two Granddaughters got short changed – no Christmas quilt !I love the quilts from the book and think it is time to remedy that situation now that I am retired. I would love to win the book that would seal the deal that I need to make at least 2 quilts before Christmas. I have two that I’ve made. I’ve made a dozen or so Christmas and Hannukah quilts over the years. Always a nice gift, especially for the little ones! I have lost count of how many Xmas quilts I’ve made.My Xmas fabric stash is triple the size of my normal fabric stash,which is why the majority of quilts I make are Xmas quilts! How many Christmas quilts, one large, another with blocks made and ready to assemble. A third with fabrics collected and pattern determined, and it will be an out all year round as the reds tend toward the purple side of reds with all shades of green from hand dyed fabrics! I’ve made three Christmas quilts, each a different size. One is a throw that is left out through March. Such fun. This looks like a wonderful book. It’s going on my wish list for sure! I’ve almost finished 1 Christmas quilt. I’ve made a dozen Christmas and Hannukah quilts over the years. Very nice gifts, especially for the little ones. I have made 10 Christmas quilts and have shared 4 of them with my children. Christmas is my absolutely favorite time of year. I love this book – can’t wait to get it. Have made 4 christmas quilts. Love christmas season. would love to win this book. I’ve sadly only made one Christmas quilt, but I love the idea of stretching their season and I love those soft colors. I have started 1 Christmas mini quilt and would love to win this beautiful book! I don’t have any Christmas quilts yet. I’m in the process of 1 now. Crazy, except I always traveled during Christmas, so didn’t ever make one. This book has great beautiful but simple quilts. Would love to have this book to do more. I have made 1-5. One Christmas quilt, a wall hanging and a couple of table runners. Would love to make another from the patterns in this beautiful book! I have 1 Christmas quilt made and 3 wall hangings because of the very reason for this book not enough time to make during the holidays! I have made two,but also other Red+White Quilts! Thanks for sharing a neat Giveaway! I started a Christmas quilt with a technique I learned in a book but after awhile I lost my inspiration in the self-designing process. So it has become a table runner size and just needs to be quilted. The quilts in this book are sure inspiring and helps me want to get back to finishing this project. Somewhere between 5 and 10! It sure is hard to remember as most of them were gifts! I love Christmas quilts! I have made SO many I have lost count. I would love a Christmas quilt book too. 11+ and planning to make many more! I have made four Christmas quilts. I’ve made six so far…but I only have one in my home! The rest were gifts for family and friends. There are some cute quilts in this book that is like to make, so I hope I win this book! About 4 … there’s still room for more! I have only made 2 Christmas quilts but have fabric to make many more! I have made several quilts, would love to receive this book. The book has beautiful quilts. I have made over 12 Christmas quilts in the last 5 years & this doesn’t included the 10 + table runners & y6 Christmas Tree Skirts I’ve made. Since I made Christmas quilts fir everyone else but me, my latest gial is to make Christmas quilts for my home. I need one for every room in the house. Just completed my 4th one. Still have at least 4 to go. Probably between 1-5. But would like to make more! Christmas stuff than anything else. I love them! I’ve lost count of how many Christmas quilts I’ve made — LOVE making them!! I have completed more than 11, from mini quilts to full size. I’ve made many many Christmas quilts. TNTC. I love them! These quilts are gorgeous! Over 11. Such a cheerful time of year and make great Christmas gifts. 11+ quilts and lost count of Christmas wallhangings. I started my most recent Christmas quilt on Feb 2 this year. I’ve only made a few quilts for the holidays. I love the idea of making the back multi-season! I have lost count of Christmas quilts I have made, but is considerably more that a dozen. Many of them I have used as gifts to family and friends. In my own space, I use them everywhere because at Christmas time it is OK to be "gaudy." I have made too many quilts to count and have several that I need to finish…. I’ve made about 12 this past Christmas, all rag quilts this year. I love making Christmas quilts. It’s so much fun! I try to make at least 2 each year. One is always ongoing. I have only completed 1 Christmas quilt. I have a kit waiting on me. My kids have kept me busy making baby quilts. Maybe now I can start! Thank you for this chance to win the book! I have only "finish" a few Christmas quilts. There are several in the UFO pile. Plus there are a couple on the wish list to make. I just need to find more time to quilt!! I have only made 1-5, but I love having them (and giving them as gifts), so I would love to make more! I have made only one pillow cover for xmas, one wall-hanging, and have one wall-hanging that needs finishing, but no full-size quilt. It’d be fun to add to the season by having some seasonal "movie quilts"! Thanks! I have totally lost count. A lot but I love making them. I’m in the 1-5 category for "real" quilts; have made many runners and "jiffy" bags (my design). I’ve given away a lot more than I have. Guess I have about 5. Need some fresh stuff though. I’ve made a lot of quilts as Christmas gifts but they were not Christmas quilts. These are so beautiful I would like to start making them now! 1 to 5, to short a usage season to put in all that work to make it. toppers, tree skirts, pillows, and wall hangings for Christmas. I would like to make a full sized one next. 1-5 but I want more beautiful patterns to follow to make more! I have made three Christmas quilts so far. I also have made several table runners with a Christmas theme. I have made two Christmas quilts. Have made 11+ Christmas quilts…table runners, rag quilts, minky/cuddle quilts fleece quilts among them. I’ve made 2 ! Also made 2 tree skirts and several table runners! I have made none to date but I do make my Xmas gifts for my family and co-workers each year. I haven’t made any Christmas quilts yet. I’ve made 2 Christmas table toppers/runners. This book has been on my list to buy! Would love to win it! I would love to win this book. I can’t wait to make some Christmas quilts. I’ve made 6 to 10 Christmas quilts. I’m not sure exactly how many! Two full size quilts and several table runners. Working on a wall hanging now. Unfortunately I only have a couple Christmas quilts. I have lots of Christmas runners and table toppers though. 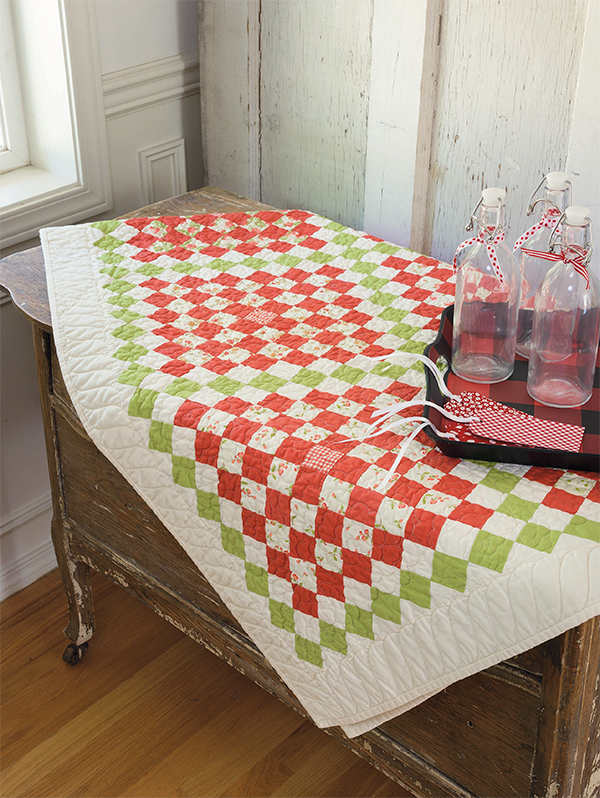 Love the idea of using softer reds and greens for the quilts. Probably in the 6-10 range – this includes little things like mug rugs and wall hangings,though. I’ve made 2 or 3, but I’ll definitely be making more. Only one so far, and I still have to finish the binding on it. Would love to have some "flexible" holiday quilts. I have made more than 11, but I still make more. I can only count four Christmas quilts so far. 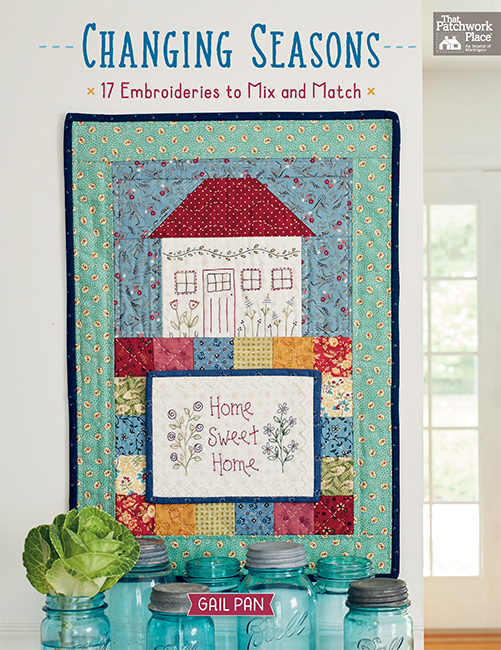 1 to 5 – not much of a seasonal quilter. I have made/sewn lots of Christmas and Winter decor but have not made a Christmas bed quilt. I particularly love the use of softer Christmas colors in this book and am drawn to them and their dual use for the whole year with a purpose for more than just one holiday. Would love to win this drawing to use as a guide. Thanks. I have made 12 Christmas quilts in 2 years. Have several more to go. They make great Christmas and birthday gifts. I have only made 2, so far. I think I’ve only made 2 Christmas quilts. These look great! Not many- in the 1 to 5 range- would like to make that tree quilt!!! Alas, I have made but 2 to date but I have one in the que for this year so far! Zero, but I have fabric for one! One to five – but I want to make nearly all of these! Gorgeous book! I have only made one but have several in red and green color combinations. I think that I’ve made 3. I really like the idea of ‘seasonal’ quilts that can be used year round. I would guess that I am in the 6 – 10 range, if you include tree skirts and table runners. I have lost track of how many I have given away. I haven’t made one yet but have bought fabric for at least one or two! I’ve only made 5 quilts and am working on the 6th which I started a couple years ago. I’ve been having eye-sight problems over the last year and have not been able to work on it as much as I would like. I will find out the end of this week if the treatments have corrected the problem. Just a few – in the 1 to 5 range – but I want to make many more! Only two but I am starting another one as a gift today. I have several kits of Christmas kits in my stash. I have not completed my first one yet. It will be a real thrill to get it finished. I have made one Christmas quilt but not in traditional colors. One to Five – so far!! I like using the colors without making it TOO Christmassy. I’ve made 11+ Christmas quilts and throws. It’s my favorite holiday! 1-5 not nearly enough. Your book looks amazing! I’ve made one quilt but dozens of table runners. I actually have one quilt I am getting ready to start with Grinch fabric! I only have one xmas quilt so far but hoping to make a few more. I have lost count as I usually make multiples of the same pattern for friends and family. 1-5 So many started and planned but time runs short and they get put off for another year. i made 2 so far and would be very ready to sew some more! Just a couple Christmas quilts, but I love pulling them out every year! I’ve started several, but they are still UFOs. Guess I need to get busy finishing them! The book looks great. I have made too many Xmas quilts to count. Love this book! Would make more! I’ve made a few Christmas quilts that I’ve given away, and I have about 6 ready to quilt – my goal for this year. I love the Christmas tree quilt! I’ve only done a couple Christmas quilts but lots of runners and wall hangings! I have made just 2 Christmas quilts in all my years of quilting. BUT, this new book has me drooling, so there may be a couple more started very soon! I have made5 Christmas quilts. I’ve made over ten Christmas quilts. I’ve also made several that don’t scream Christmas but are winter Quilts. This book looks amazing! I love the idea of a non Christmas back. I’m in the 1-5 group. I’m just finishing a Moda Blockheads SAL made with Christmas fabric so there’s a chance it will be done by December this year. 1-5 but lots more on my wish list. I don’t know for sure, but I’m guessing it’s at least 10. Most have been small quilts. None! But I have Christmas fabric. Most of my Christmas fabric has been used to make table runners. Made lots of them–put them all together and they would probably make a quilt! LOL Thanks for the chance to win! 1-5 Lots of my quilts can be used as Christmas quilts but don’t "scream" Christmas. I’ve made 8 or 9 Christmas quilts but my children claim them as soon as they’re finished! I need one for myself!! I am a new quilter so I only have a table runner and wall hanging but have collected a few more wall hangings table runners and a throw to work on for this year. I’ve made 5. Thank you for this opportunity! I have made 2. But, like Susan, I will make more in the future that work all year! I so hope I win this quilt book so I can start right away. The quilts Susan has designed are so beautiful. Thanks for the chance to win. I’m in the 1-5 camp, but this book would be great inspiration to move that up! Thanks for this wonderful giveaway! I have 1 Christmas quilt I’ve made. I think between 5 to 10, but most were lap sized. I’ve made 3 Christmas quilts. I’ve made 2 large Christmas quilts, more if you count snowman quilts. Made lots of runners and small wallhangings. I LOVE CHRISTMAS! I have lost track as many were gifts. I also like to make favorite Christmas quilts in other colorways. I have only made a Christmas table runner so far. I’ve made 3 so far and would love to make more! I just love Christmas quilts, they’re so much fun! I’VE MADE TWO FULL SIZE CHRISTMAS QUILTS AND MANY CHRISTMAS WALL/HANGING QUILTS AND ONE OR TWO BABY CRIB QUILTS. None… but I’d like to have a reason to try! If we can count the smaller ones it would be between 6 and 10. I just finished the binding on a lap size one last week and have another that I’ve started machine quiltinq. I love ’em and have plans to make 2 more this year. I’ve made two Christmas quilts so far. I will definitely take Susan’s advice for future ones and not use a Christmas backing. I have two quilts in green-and-red, but neither screams "Christmas." Just one! Looking for new and updated patterns with cool color options which is what draws me to Susan’s patterns and color schemes. I made a red & green Feathered Star a long time ago that I get out each Christmas. The first Christmas quilt I made was for my best friend at work when she retired. That was 12 years ago – she still loves it! This past Christmas I had two Christmas quilts finished – ready to go to the lady that does my quilting….her daughter had a baby early!! I’ll have them back from her in May or June – so, I’m well prepared this time! One day, I’ll make one for myself! I wold love this book, so many things I could make for the holidays. I think I’ve probably made 6-10. I’m a Florida girl too, so it’s fun to add to my collection even when it isn’t cold! I believe everyone should have a Christmas quilt so I’ve made too many to count. I’m a sucker for Christmas fabric, but I need to make some of these all year round ones as well. I have made more than 10, if you count table runners. Christmas is my favourite season of the year. I am working on a Christmas quilt but not done! I have not made one Christmas quilt! 🙁 But I did just buy some holiday fabrics so I hope to make my first one this year! thank you! I have made three Christmas quilts so far. This book is just what I need to get started on a new quilt. I have made 2 Christmas quilt! I really should make more!! 1 – 5 quilts. Looks like a terrific book and I’d love to have it. Thank you. I have made several Christmas quilts, and a few Christmas wall hangings. This book looks great! Thank you for the opportunity. I have only made some Christmas table toppers, but I’d love to make some full size ones to snuggle under! I have made one so far,but have fabric for another. 1-5 Christmas quilts plus many, many smaller items – wall hangings, table toppers and runners. Do my 2 UFOs count??? I have made about 5 Christmas quilts. I think Countdown to Christmas would motivate me to make more! What cute quilts in this awesome book!! It’s hard to pick my favorite. Thanks for a chance to win. I can think of three Christmas quilts that I’ve made off the top of my head so I guess put me in the 1-5 Category! Would love to move up to 6-10! Lol! I’m going to say 11 plus! Your quilts are beautiful! Thanks for the opportunity. Love holiday quilts! I have made 5 Christmas quilts and 5 matching table runners. Thanks for the great giveaway. I made the first Christmas quilt for my s-i-l, big snowman with a hat and carrot. The second I made was for myself. I have fabric for three more and hope to get another made for myself before Christmas this year. I have made several Christmas table runners but I need some Christmas wall hangings. I haave not yet made any Christmas Quilts, but I have lots of Christmas fabric and am planning on starting a Christmas quilt as soon as I finish my great granddaughter’s seventh birthday quilt. I have made 3 Christmas quilts and hope to make several more. I’ve made just one Christmas Quilt but we use it all year long! I have plenty of fabric so could definitely use patterns! 5, but I have fabric for about 12 more. Mama needs a book to show me what to do with all of it. Three, if I include my quilted tree skirt. I haven’t made any, always working on every day quilts. I’ve only made one Christmas wall hanging…and that was done years ago. making some Christmas quilts to use and enjoy on the beds would be lovely! Sadly, I have only made one but love the idea of using fabrics that allow you to leave them around outside of the Christmas season. I have made between 1 and 5 Christmas quilts. I have several more in waiting…. waiting to be finished. Thanks for the chance. Love the quilts shown. I have made 2 that really are more like "winter" than Christmas. Probably somewhere between 5 and 10, but I have a zillion on my "someday" list and this book would make it 2 zillion. I’m thinking I must have made more than 10 because my children say, "No more Christmas quilts Mom." That is until they see the next one. lol. I love the season, I guess they will just have to put up with them and me. I finished my Tole Christmas quilt this year. So much fun putting the colors together. I put together a panel last year as a throw and it kept growing until it was a queen size. Made a "lightning bolt" Christmas quilt which I can’t seem to get off my bed. I love Christmas quilts year around. The Countdown to Christmas patterns look wonderful! Would love to win the book! Sadly, my answer is 1-5. But with susan’s book and her great tips for off season sewing I can change that. Fingers tightly crossed! II have one almost finished! It was a BOM. I am a big fan of Susan’s, she makes the most beautiful quilts. I like this new book as some of the quilts can be left out all year-especially when you live the woods in northern Wisconsin-that tree quilt is just the coolest! Thank you for the chance to win Susan’s new book! 1 to 5. I’m still a baby beginner in the quilt making world! I am one of those with up to 5 Christmas quilts and have plans doe more. I just love the Christmas prints and ideas that I can’t quit at one or two. Always thinking what the next will be. Thank you for the offer of another and I would be grateful for the new book. working on my first one! I’ve never made a Christmas quilt, but April would be a great time to start! Thanks for the opportunity to win this book, and to plan ahead!!! Sadly, only one so far. !-5. 1 of them I am in the middle of making was originally a Christmas quilt I have turned it into a Winter Village added a few changes to make it last longer. 6-10 quilts so far….but more are in process ‘ Christmas fabric is my favorite! Believe it or not, I have actually never created a strictly Christmas quilt. . . this must change! 1-5, and only just. Number 1 is in progress, hopefully fully completed by this coming Christmas. I really like the idea of having them out all tear. I particularly like Susan’s green and white quilts. I have 5 finished Christmas quilts with at least 2 on my list to make. I love Christmas time! To date, I’ve made 6+ Christmas quilts, but there’s always time and room for a few more. I have made 6-10, all different sizes. I don’t have all of them, as they have been given away to family and friends! Unfortunately, I have not made and Christmas quilts yet. I have made a few table runners. I would like to make some. Thank you for the giveaway opportunity. Ik heb 2 quiltjes gemaakt en ik ben er met nog 1 bezig. Translation: I have made 2 quilts and I am still working on 1. I have make 2 Christmas quilts and I am working on one for more than a year. I have not made one yet, but will this year. The sad truth is that I made my first two Christmas quilts just last year! One of these was a Grinch quilt for my grandson. My new thinking for this year is to be at least 6 months ahead of the season so I will be starting on Christmas quilts very soon!! The quilts in this book are very beautiful! I’ve made over 30 and given them all away over the years so I can make more! I have made 3 this year alone!! My sisters will each be getting one on their birthday in September so that they will have them for the holiday! I have not made any Christmas quilts yet! :'( However, I do have fabric bought to eventually make two Christmas throws. I have made about 4 Christmas quilts. My favorite holiday. I’ve probably made in the 6 – 10 range when you count the ones made with Christmas colors but in a traditional block. More than I can count….but now I want to make some of these beauties!! Thanks for the chance to win! Well, must be about four…really like the tree and the hohoho patterns..
Would love to win the book…Thanks!! If not so lucky..will order it!! If you include small quilts and runners, then I’ve lost count! I have made 3 small Christmas quilts and would like to make more. I have lost count, but I do try to take a photo of each and I am on my third or fourth album…. LOL!!! I have been quilting for about 30 years though. Sadly, I have only one, so need to make more. A Christmas quilt is on my bucket list. I love the softer colors in this book! I’m actually making my first Christmas quilt: it is a Lone Star using Victorian florals and muted hues (tan, moss green, cranberry red and purple) with the same diamond florals repeated in the borders around the centered star. I have lost count of how many,but some are more winter. Love the quilts in this book! 1 to 5 Christmas quilts and lots of pillows. I don’t have any larger quilt but about 8 wall hangings. I’m not certain of the number but I believe I’m in the 11+ group. With some of them I have used the same fabric line but used different patterns. 1-5. I have one in my quilt mix of projects that I’m working on now. It is Pat Sloan’s quilt along from last year, Merry & Bright. I don’t decorate for Christmas because I do not have kids at home now. I have not made Christmas quilts, but have made stockings for my kids and their families. Ummm, zero…that’s why I need this book! 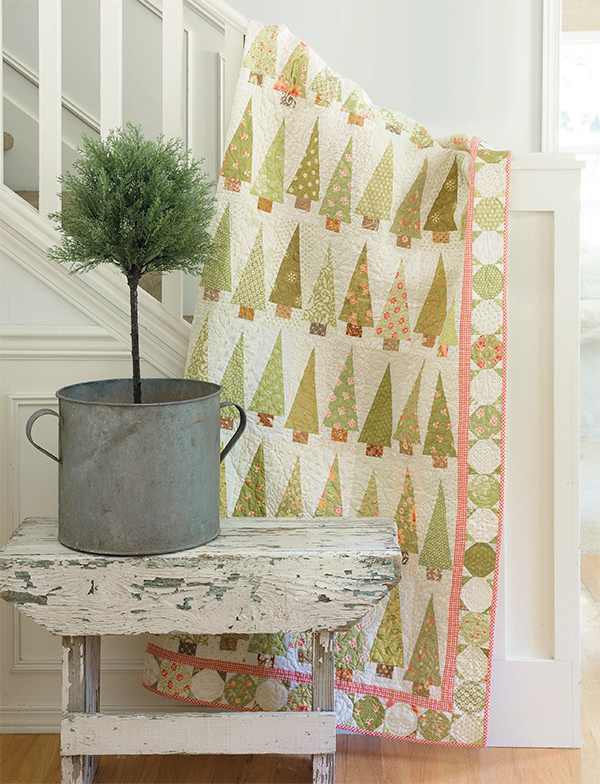 Love the Tree Farm and Ho Ho HO quilts! Have not made any Christmas "quilts" yet, but have done a ton of table toppers, runners, etc. I have made 1-5 Christmas quilts and have fabric for lots more! I’ve probably made about 5 Christmas quilts. If I win this book I’ll be making more! As of now, I have not made any – I always wait too late to start and run out of time. Maybe this year! I have made 1-5, but have 5-6 UFOs in the works. Love Christmas quilts! I have less than five completed quilts but more in progress and many more I hope to make someday! Oh how I wish I could say I have a mountain of Christmas quilts! However, I actually only have one small mini Christmas quilt to my name. I am becoming a more confident quilter and hope to use Susan’s advise about starting Christmas sewing EARLY. Thanks for the chance to drool over her lovely book! I have not made any! I would love to make a circle one that goes under the tree for a family tradition! I have not made a Christmas quilt yet, but I have the fabric to make a few. I can’t wait to get a copy of Susan’s beautiful book! Thanks for the giveaway. I have made many Christmas quilts over the years. I have more than 10 quilts that are displayed at Christmas time and I have given away many more. I have not made any Christmas quilts yet but I have been wanting to. 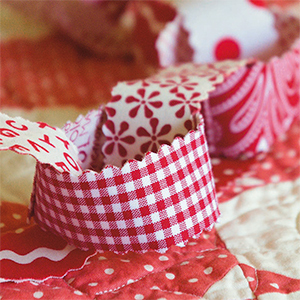 What a great idea to do Christmas quilts early and to be able to stack them year-round! I have made at least one Christmas quilt a year for the past 7 years, but sometimes I have to finish them in January or February. So that’s about 7 quilts. I’ve made 1 Christmas quilt and 2 Christmas table runners. I love Christmas and all that goes with the holiday. Over the years I’ve lost count!! One large Christmas quilt, many advent calendars, placemats, runners, wallhangings, and minis. More are waiting for quilting or piecing! Thank you! How about "0″ Christmas quilts! Would love to make one of these. I’ve made one Christmas quilt! Looking forward to starting another soon. Last year I made a queen size Christmas quilt for our bed. It’s so fun to take it out for the season. I’ve also made an assortment of holiday projects over the years. I have 1 Christmas quilt and a starting one not that I am working on now. I have a 70” x 70” quilt that is hung on the wall. I NEED MORE! More Christmas, more quilts and more time to sew. 1-5, and I’d like to make more! I’ve only made 1-5. I’m new to quilting and am just getting started! But I love it! I have never made one! I have lots of Christmas fabric ready though! Four queen-size ones, I think 🙂 and at least a dozen minis or smalls. This book looks wonderful! Guess I like Christmas quilts as I have made 6-10 of them in various sizes. Thanks for the chance to win this beautiful book – I have never made a Christmas quilt but would love to make all of them in this book! I have only made a Christmas wall hanging. I have made a couple of quilted Christmas tree skirts and several small Christmas wall quilts, but no bed-sized quilts! Several of the pictures I saw of the quilts in the book lend themselves to various sizes, including bed runners! What fun it would be to win this book! Oh. Had to change. No actual "Christmas" quilts. But I made 2 quilted runners for Christmas gifts. I have made 6-10 Christmas quilts. Cute book! I’ve made 2 Christmas quilts………Thanks for the giveaway! I made one last year for my sister. I have not made lots of Christmas table runners and a tree skirt but no large quilts. I do have lots with red in them that I use during the holidays. I am working on my first Christmas quilt now. I am making Christmas Figs as a BOM and I’m having so much fun!!! Thanks for the opportunity to win such a lovely book!! I’ave made 5 Christmas/holiday quilts and a whole pile of patchwork stockings. I’ve made 3 good sized throw Christmas quilts for gifts. I need to start working on some to keep. Beautiful book! If I count table runners, tree skirts and wall hangings (all small quilts?) I’ve made 6-10. The book offers lots of great ideas, open to many different color schemes. I have only made one Christmas quilt to date, but I hope to make more. I’m always looking for new patterns. I have made one throw for the back of my couch, several wallhangings for the living room and dining room and tablerunners for 2 tables. I have lost count of the wall hangings that I have given as gifts. I’ve never made a Christmas quilt. Wow! I am at 1 1/2 working on finishing my second one. Loved the Ho Ho Ho red and white quilt! 6 to 10 is my current slot .. the book looks great .. i have my eye on the tree quilt. I’ve made four Christmas quilts and a few runners. Two of those quilts were gifts and the other two are mine. I think I see a few more in my future though! I would fall in the 1 to 5 category. Love the quilts in this book and my Christmas quilt count would go up a lot. Really wished I’d counted! I pieced and my mom quilted pieces for all the family down to great grandchildren! Besides, I often will give a Christmas quilt or tree skirt for a wedding present. Perhaps I need this book to expand my patterns…. Thanks for publishing and offering. I’ve made one Christmas quilt and one runner, but that was years ago. It’s time for a new Christmas quilt! They are starting to add up. I have 6 to 11. Well if we don’t count wall hangings I guess I would have to say the 6 to10 would be a good guess. So far I have made two but would like to do more. I have made 7. Given all away. I plan to make one to be enjoyed here at our house. Maybe this year. quilts in this book. I need some off season sewing soon! I have only made one Christmas quilt. I would like to make several more. This book has some awesome ideas. I have made too many to count. I love for the family to have Christmas quilts and wall hangings. This book has some wonderful things in it!! I have lost count of how many Christmas quilts I have made. Many go for gifts. This book will give me some new ideas! Thank You! I have made 8 Christmas quilts and I am presently working on two Christmas quilt alongs. Thank you for the chance to win this lovely book. The quilts are amazing and I love Christmas quilts. One king size bed Quilt and the back on a table runner. One snow folks flannel lap Quilt. Have many Christmas projects started such as aprons, a vest and stockings. They will hopefully be done before this Christmas and the there are a couple of panels and some other Christmas fabrics. I have decided to not buy any more Christmas. I have only made one large Christmas quilt, but many wall hangings. I have made a quilted tree skirt–finished in a pinch at the last minute! Makes so much sense to do Christmas quilts earlier in the year. I love the Tree Farming quilt! !-5 would be my answer. I haven’t made any Christmas quilts as of yet – but this book is very intriguing. If I had this book, my first project would be the tree’s. So "winter" – could be out from December thru March. Keeping my fingers crossed…. I’ve only made 1 or 2 Christmas quilts…but several Winter themed ones. 6-10 plus lots of christmas items. i’ve made everything…table runners, card holder, tree shirt, stockings, ornaments, embroidery picture, quilt, etc from the night before christmas by nancy halvorsen. If you count table runners, I’d say about 10, if not, then about 5 or 6. If you count potholders, then add a dozen more! Unfortunately, I’ve made zero Christmas quilts. I’ve made a couple of Christmas quilts but lots more runners and placemats for Christmas! This book looks like I can do more! Thanks for the giveaway! I think I’ve only made 1 Christmas quilt but several smaller seasonal projects. Book looks great. I have made two Christmas quilts–also have blocks for another one made–like your idea of leaving them out! I’ve done at least 5. Maybe more but I don’t remember. I find them the easiest to do because they have a "specific purpose". I have not finish any Christmas quilt, but I do have one that is a UFO that I would like to finish next year. I am currently working on my second Christmas Quilt, using color tinting and embroidery. At the same time I’m working on a quilt from Start with Strips using up a lot of my scraps from previous projects. I’m a new quilter and finished my first Christmas quilt after this past Christmas. None, sorry to say! But I hope to with the help from this beautiful book! Thank you for the giveaways. I have made 1 Christmas quilt. Love Susan Ache’s idea of using softer shades of red and green in Countdown to Christmas. Thank you for this give away opportunity. I’ve made several Christmas quilts but I have plans to make a bunch more. You can’t have too many Christmas quilts and I have family members who need some too. I’ve only made 2 Christmas quilts, but looking forward to many more! I have made more than 6 but less than 10 Christmas quilts, with more to come (on my wish list). I’ve made one Christmas wall quilt and made three Christmas stockings last year. Susan’s book will give inspiration to create more Christmas beauties! I have made four queens, and over 30 laps as Christmas presents. Also stockings, wall hangings and cute gifts. I want to make myself a new bed quilt but can’t find the right pattern. I have a lot of Christmas material and I have some started but motivation is lacking to finish because the pattern doesn’t quite do it for me. This book looks wonderful . I am crossing my fingers. Just one. My second is in progress. I have made one , a lap size. It is still out since it doesn’t scream Christmas! Used in front of the fireplace in Mar. during a power outage. I’ve not made a Christmas quilt yet but I want to . To date, zero Christmas quilts. This book definitely inspires me to make several! Maybe 1-5, if I count the UFOs! I love the wreath. I need to make that one for sure. It would look so cute hanging on my front door. Merry Christmas! I’ve made 2 to give away, and I have 2 tops tp be quilted by next Christmas. I’ve only completed one Christmas quilt, but have several in the cut stage and will finish at least one by this Christmas. I love her ‘Start with Strips’ book and would love to add this one to my collection. I have made 1-5 Christmas quilts to date. I think I have enough Christmas fabric to make about twenty more though! I’ve made about 5 Christmas quilts, so 1 to 5. About 10 – they tend to be the ones I’ve given away so there may have been more. Beautiful quilts in this book. Just a few wall hanging s an pillow so far. I just love the tree quilt in this book. Christmas is my favorite season so I’ve made at least ten quilts to keep and give away as gifts. Always looking for more ideas and would love a copy of this book. I have only made two holiday quilts. Only have made one Christmas quilt, the book looks like fun! I have made 3 Christmas quilts, but many Christmas wall-hangings. I have several on my to-do list! This book is beautiful! I’ve made four Christmas quilts so fa. I so agree with the philosophy to not rush myself at the last minute with deadlines imposed in my mind! I like to enjoy my sewing as well as the holidays. I’ve never really counted, but I’m thinking more than six, but probably not ten. I love Christmas quilts, and seem to keep finding reasons to make another one … and then another one! I’d love to have this book. Christmas and traditional designs, yum! 11+! I give them away as presents. Over a dozen, but most were gifts to others. I still have another 8+ and wait all year to be able to use them at Christmastime. I like the idea from this author on using more muted colors so they can always be used throughout the year. Thank you for this opportunity to win the book. I have lost count, for myself and for family. 1 to 5 xmas quilts. I would love to add this book to my quilting library. Sew many cute quilts I would love to make. I am sewing my first one right now. It is a queen size red and green sampler quilt! I have never made a Christmas quilt before; only numerous table runners. This book looks like it has very cute patterns. Less than five but more than one. Have made 4 Christmas quilts. 5-10. I have two right now, started before Christmas, one needs the binding, the 2nd I’m working on the back. Love the trees. Thanks. I have made a wallhanging, a lap quilt, and a candle mat that I gave away. My plan is to make Christmas quilts for each of my 7 brothers and sisters, but probably not bed-size. I have 1 Christmas quilt and it is one my mother made for me years ago. Even though I am an avid quilter, Christmas quilts have always been on the top of my list. No excuses any more, this year I will start a Christmas quilt. I want a quilt that is in reds and greens and can be used that can be used after the holiday but primarily I decorate for Christmas in reds and greens. I have one of Susan’s books and her instructions are easy to follow. In fact, I believe it was your Instagram post from early September 2018 that inspired me and I ordered Susan Ache’s book and made her Pumpkin quilt. Keep showing us beautiful quilts and the books because it’s working. I keep buying books and making quilts. I have one Christmas quilt almost finished and made one that was given away. Have made many table runners. It would be nice to work on quilts off season! Great idea. Wish I was that organized to think ahead! Seems like I’m so ready for spring colors and baby quilts. I don’t have one! But I want to make one this Christmas, so this would make a great start for me! Love your Countdown to Christmas book ideas. Never to early to start. I like to have quilts like this to display ALL winter long and in MN that’s about 6 months! Sad to say, but 0! I think I am going to change that this year and start with "Tree Farming"!! I’ve completed 1 Christmas quilt, and have a few in the WIP category. I have made 1 quilt and am really inspired to make more by just looking at the advertisement for your book. I love the uniqueness of the designs. Hopefully I will be the lucky one to get the free copy. Thanks, Diane.